> How to verify sightings? > How to manage sightings? Speaking of helping budding naturalists, in the past year we've had thousands of new QuestaGamers sign up and this growth is expected to continue! To help with this increasing demand, we're testing a new role for Bio-Experts who have a proven track-record. We call this new role ‘Lead Bio-Experts’, and we think you will make a great one! *New feature* allows you to feature image sightings on QuestaGame's homepage and/or social media, or reject a sighting entirely, or delete individual image sightings that are inappropriate / unsuitable for verification or sharing with biodiversity databases. 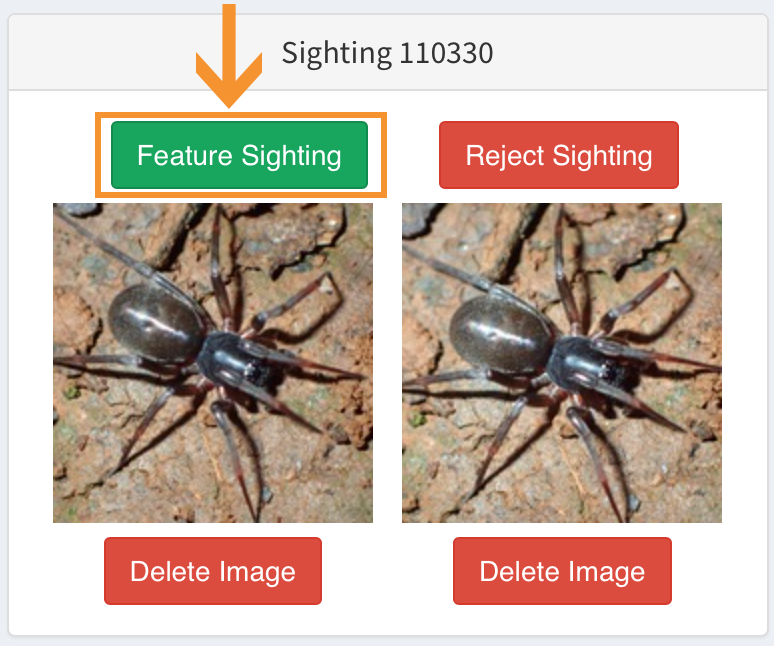 As a Lead Bio-expert you now have the ability to feature, reject and delete image sightings to ensure all sightings are of the highest quality for biodiversity researchers. You can access this feature within the ‘Verify Sightings’ view, under the 'Manage Sightings' tab. In choosing to “feature” a sighting, you agree the sighting is especially noteworthy because of the high quality of its image(s) and/or the uniqueness of the find. The sighting will be featured on QuestaGame’s homepage and/or social media as an example of an especially noteworthy submission. It’s a duplicate of a previous sighting/submission. The sighting contains multiple images with different specimens, and you are removing the image(s) not relevant to the primary sighting. The image is otherwise irrelevant to the sighting. It doesn’t include a specimen. It’s a photo of a human or contains a recognisable human within it. It’s a screenshot, copied image, or a photo of a photo, or doesn’t belong to the submitter. It’s a domestic animal (such as a farm animal) or is living in an enclosure (such as a zoo). It’s not clear enough to make even the most basic identification (e.g. bird, reptile, etc). It involves a dangerous situation, for example if it’s taken from the driver’s seat of a moving car. 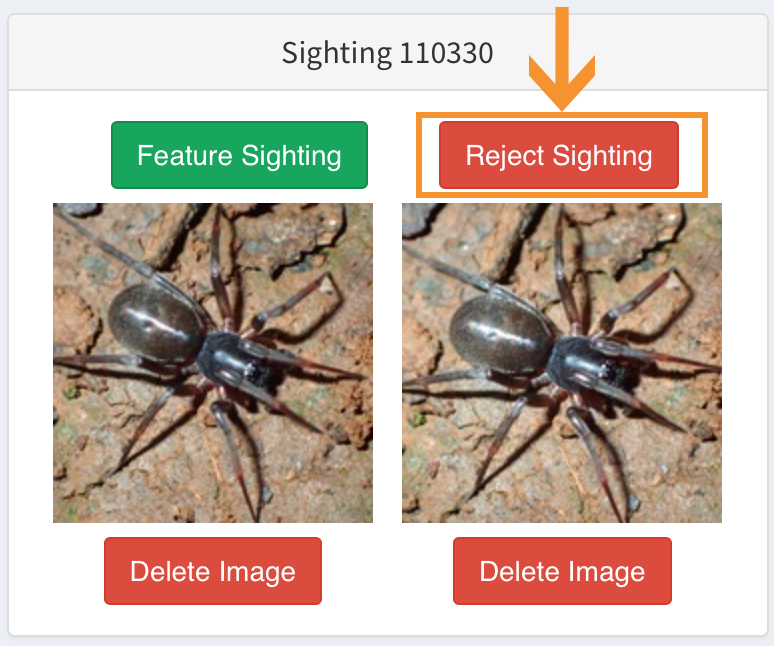 Remember, you can choose to “delete” irrelevant or inappropriate images within a sighting, while still keeping the sighting, to ensure only the highest quality images are identified and available for biodiversity researchers.